We understand how valuable your time is. Thank you for spending some of it with us today! SBG Financial is a comprehensive financial services firm committed to helping our clients improve their long-term financial success. Our customized programs are designed to grow, protect, and conserve our clients' wealth by delivering an unprecedented level of personalized service and expertise. SBG Financial is a full-service financial services and insurance practice headquartered in Oshkosh, Wisconsin, working with Woodbury Financial Services, Inc. [member FINRA / SIPC]. We primarily focus on assisting individuals and small businesses with retirement income planning, as well as advising in beneficial products that may help further protect ones finances. 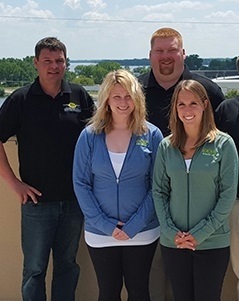 The group was founded in 2010 by owners Bret Schaefer and Nick Behnke. Securities and Investment Advisory Services offered through Woodbury Financial Services, Inc., Member FINRA, SIPC. Insurance services offered through SBG Financial, which is not affiliated with Woodbury Financial Services, Inc. This communication is strictly intended for individuals residing in the state(s) of Wisconsin, Illinois,Ohio, Michigan and Colorado. No offers may be made or accepted from any resident outside the specific state(s) referenced. IMPORTANT CONSUMER INFORMATION: A broker-dealer, investment adviser, BD agent, or IA rep may only transact business in a state if first registered, or is excluded or exempt from state broker/dealer, investment adviser, BD agent, or IA registration requirements as appropriate. Follow up, individualized responses to persons in a state by such a firm or individual that involve either effecting or attempting to effect transactions in securities, or the rendering of personalized investment advice for compensation, will not be made without first complying with appropriate registration requirements, or an applicable exemption or exclusion. For information concerning the licensing status or disciplinary history of a broker-dealer, investment adviser, BD agent, or IA rep, a consumer should contact his or her state securities law administrator.